Thank you for submitting your item for appraisal. 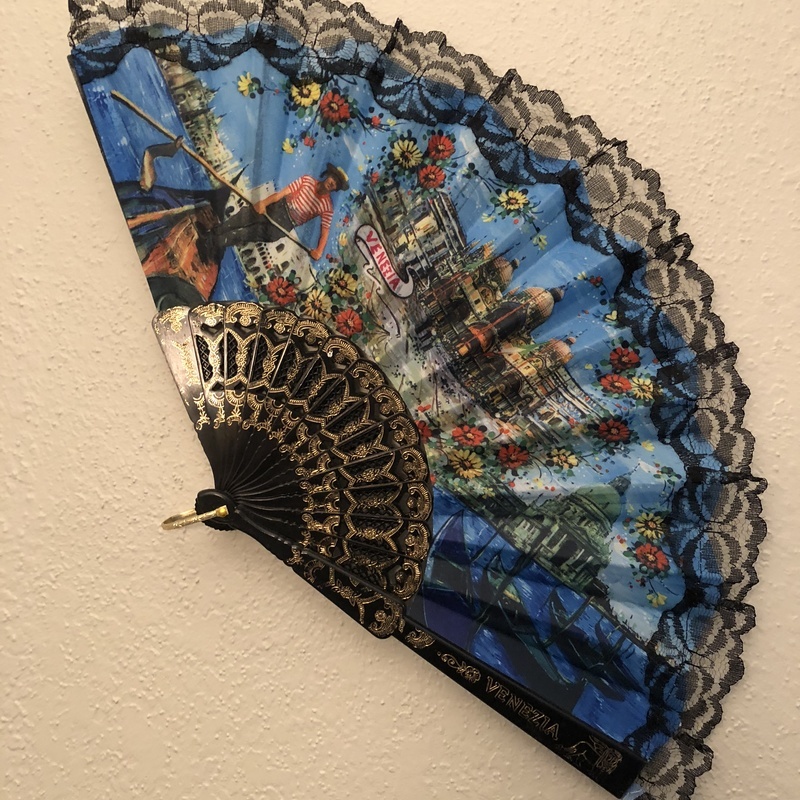 This appears to be a typical Venice souvenir, a fan made of black plastic, with imbossed gilt lettering "Venecia", decorated with a transfer printed scene of a Gondoliere on his gondola holding the remo, a pasticcio view of the Piazzo San Marco and other Venice architecture in the distance. This would be a souvenir item of the 1970s and later, possibly rather expensive when bought in Venice. The estimate is based on similar items sold at auction. There is no measurement for the sentimental value you might attach to it.